Operating in the Earth's orbit, the Arka spacecraft will carry a cluster of powerful telescopes designed to study heating up mechanisms in our Sun's corona. At the end of December 2010, Space Council of the Russian Academy of Sciences, RAN, approved development of the MKA-FKI PN5 (Payload No. 5) Arka orbital solar observatory in cooperation with the US, where the project was identified as Coronal Science Investigation, CSI. Preliminary scheduled for launch in 2015, the spacecraft would observe the Sun in X-ray range of spectrum during a three-year orbital mission. 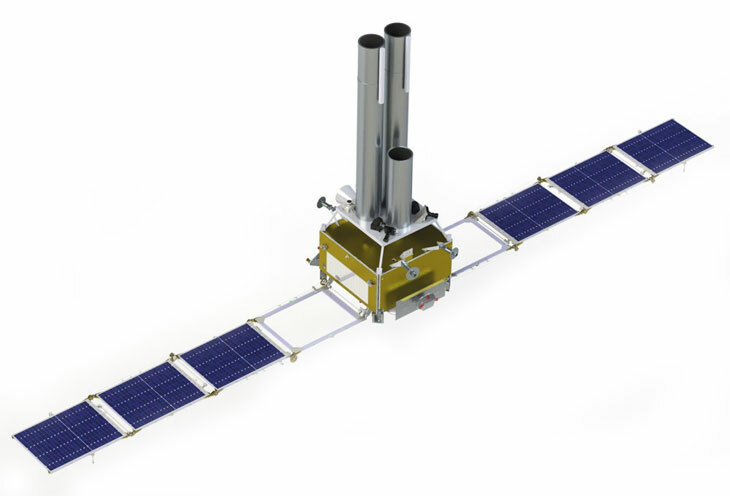 Based on the standard platform, known as Small Spacecraft, MKA, developed by NPO Lavochkin, the satellite would carry a pair of solar telescopes with super-high angular resolution reaching around 100 kilometers. One instrument would be developed in Russia by Lebedev Physics Institute, FIAN, IFM in Novgorod and IKI in Moscow. Another instrument could be supplied by the US. In the United States, the Smithsonian Astrophysical Observatory and Marshall Space Flight Center were expected to take responsibility for the project. Two sides also considered an exchange of technologies between two instruments, for example, FIAN was proposing to develop optics or detectors for both telescopes, while US would supply stabilization system for two instruments. New instruments onboard Arka promised to increase the resolution of solar observations by 11.5 times comparing to the sensitivity of a telescope onboard Koronas-Foton spacecraft. They would also offer a four-fold and 6.5-fold improvement comparing to the latest US solar observatories – SDO and TRACE, respectively. Due to its very high magnification, telescopes on Arka would see only a fraction of the solar disc, rather than a global view of the Sun provided by Koronas-Foton and SDO. 2015: Pre-flight testing and launch. Studies of a thin structure and dynamics of magnetic fields and plasma in the transitional region of the Sun, including oscillating processes with periods from one minute and higher, as well as transient events with velocities from one kilometer per second. The Arka mission would be based on the Karat-200 spacecraft bus carrying an Arka payload and including a launch vehicle adapter. At the time, its launch was promised in 2015. On March 14, 2014, the Space Council of the Academy of Sciences, officially rejected the use of the Karat platform for all but the Relek experiment, which was to be Karat's second mission. The Space Council proposed to fold Arka, as well as the Konus-M experiment from the third Karat mission and the Monika spectrometer (provisionally scheduled to fly on the sixth Karat mission) into the Koronas-K solar-research project. However all these experiments would have to be accommodated as secondary payloads onboard future Russian application satellites. At the time, the launch of the Arka telescope was promised in 2020. Fortunately, the Arka project was apparently included in the last minute into the new Russian space program formulated at the end of 2014, but with a launch date at the end of the 10-year plan. 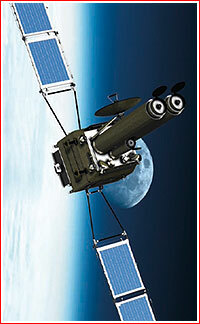 The space observatory re-emerged as the Karat-200-based spacecraft. In 2016, Roskosmos issued a technical assignment for the project, which was required to use technical legacy of the original Arka work authorized by a federal contract No. 361-8597/12 from Dec. 12, 2012. 2024-2025: Launch and flight testing. In October 2016, Roskosmos declared NPO Lavochkin with its Karat-200 platform a winner of a contract for the development of the Arka observatory. 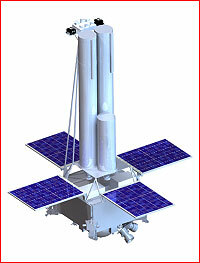 The Karat-200 was preferred over a Luch-based platform proposed by ISS Reshetnev and the Kanopus satellite bus proposed by VNIIEM corporation. At the beginning of August 2017, NPO Lavochkin held a meeting of the Scientific and Technical Council reviewing the results of the preliminary design of the Arka project. According to the company's publication, Aleksandr Mitkin, head of a project division at the company, reported that the launch of the spacecraft had been scheduled for 2024 on Proton-M/Briz-M or Soyuz/Fregat rockets, which would deliver it into a shadowless Earth's orbit. In addition to the satellite's pair of main X-ray telescopes, secondary payloads were also under consideration, NPO Lavochkin said.